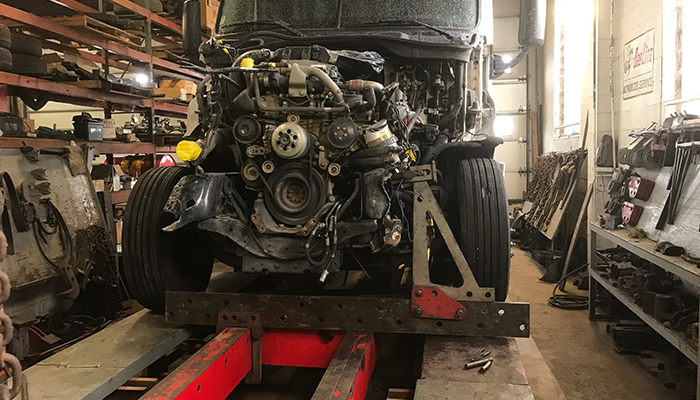 If you are looking for the experts in heavy duty truck parts and repairs in the Erie area; look no further than Dias Spring Service. For almost 100 years, we’ve been the best source for repair and maintenance of your vehicle’s suspension system. Whether you are looking for the right part to do the repairs yourself, or need us to handle the repairs, you can count on us! We stock a vast selection of heavy duty truck parts for multiple makes and models to ensure that you have the part(s) you need. 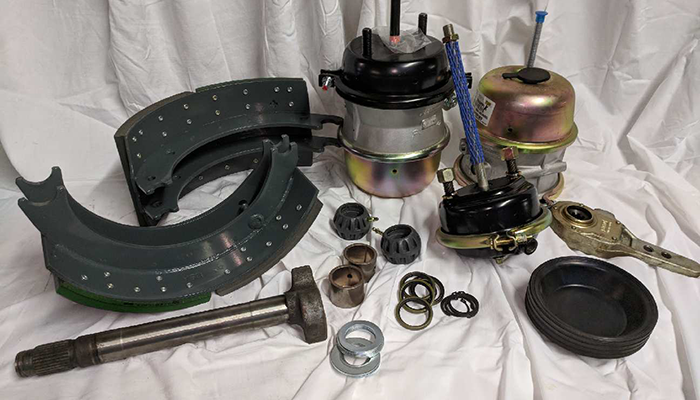 Our parts for steering and suspension include (but are not limited to); kingpins, tie rod ends, drag links, bearings and seals, shock absorbers, springs & spring pins, bushings, U-bolts, shackles & hangers, air bags, and brake drums, shoes, and hardware kits. We also carry a variety of lights and filters. 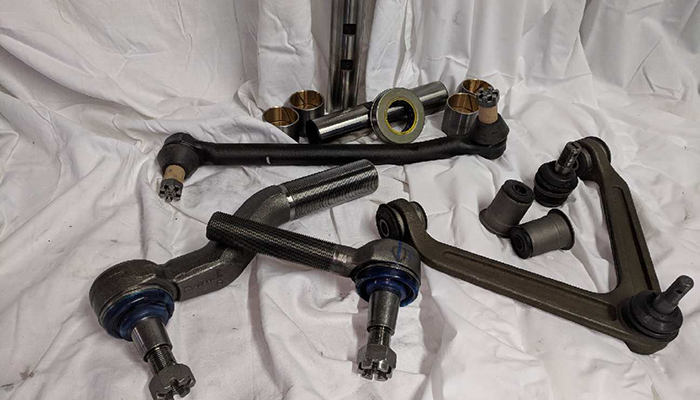 Some of the in-shop services Dias offers: re-bush kingpins, axle sleeving, replace walking beam bushings, spring repair and re-bush, extra leaves added to springs, bearings pressed, air suspensions repaired, torque rods and track bars re-bushed, and custom-made U-bolts. We also do heavy duty frame straightening and modifications - lengthening, shortening etc. We also stock suspension parts for camper trailers, RV motor homes, utility trailers, landscape trailers and school buses. What makes us different from the rest is our attention to details. We utilize both Beeline and Hunter alignment equipment. Dias Spring Service has the ability to correct the front axle using Beeline axle tooling up to 200 tons for camber correction. We also use Hunter engineering electronic gauging systems for fast, accurate alignment results. 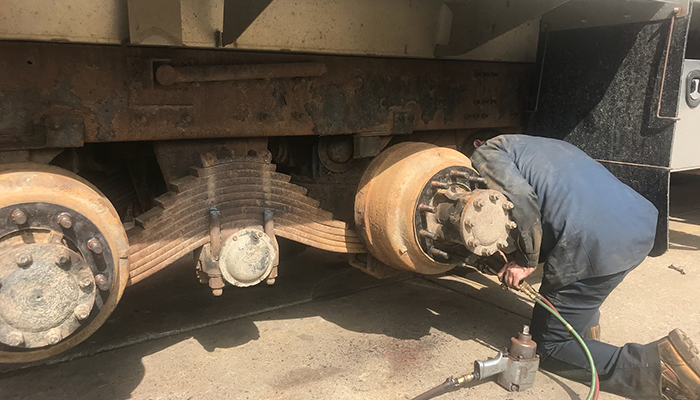 Multiple axle alignment is one of our specialties. We can align dual steer, multiple rear axles, and lift and tag axles. In addition, we perform heavy and light trailer alignments. Our family prides itself on our skilled and experienced technicians. Our long-standing relationships with our manufacturers has enabled us to offer our parts at very competitive prices. For many of these manufacturers, we’re a direct dealer. This allows us to cut out the middle man – saving our customers money! Our state-of-the-art facility enables us to offer a full complement of suspension services for heavy duty trucks. You can depend on us to keep your fleet of one, or hundreds, running at maximum efficiency – saving you time and money on more costly repairs down the line. For nearly 100 years, we’ve been the Erie area’s heavy duty truck suspension and alignment experts. When it needs to be done right the first time, count on us for in-house, heavy duty frame repair. Prefer to do the repair or maintenance yourself? We stock heavy duty parts. Brakes – shoes, slacks, chambers and cam shafts for HD trucks. 814.452.3259.